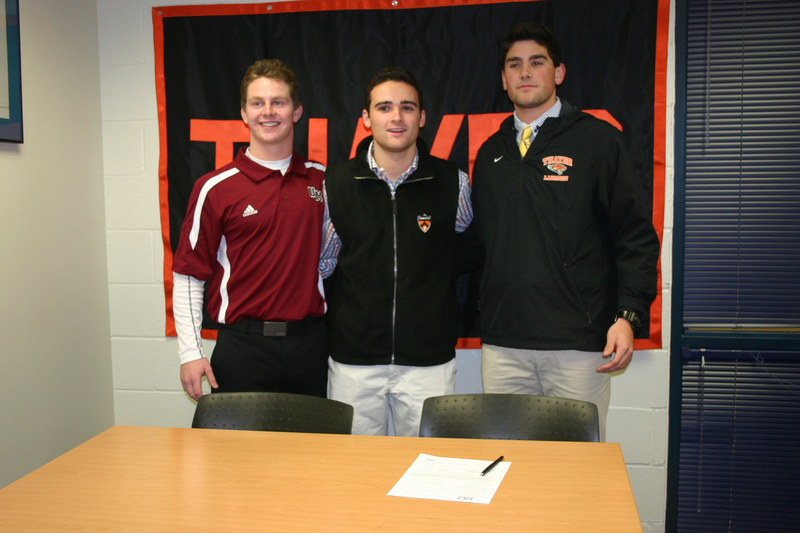 Four members of the class of 2014 signed Letters of Intent to play Division I lacrosse next year. All four athletes have been major contributors to Thayer's athletic programs, but their most notable contributions have been highlighted on the lacrosse field. Seniors Genevieve Packard (Michigan) and Shannon McGowan (University of Binghamton) will lead the Thayer girls' team to another successful season this spring. And senior boys Jonathan Barry (Providence College) and Shane Rinkus (University of Massachusetts/Amherst) look forward to leading the Tigers in an exciting season with the help of a very talented goalie, Tyler Blaisdell (Princeton University). 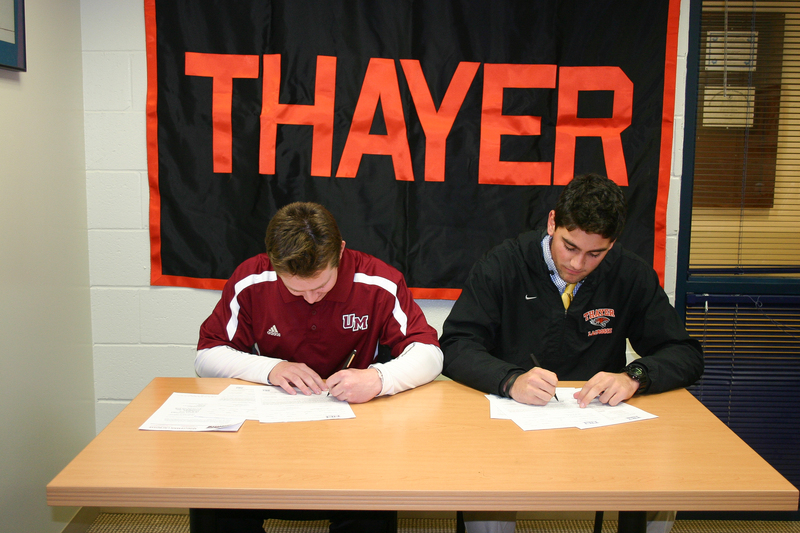 Pictured above signing their National Letters of Intent: Seniors Shane Rinkus (UMass/Amherst) and Jonathan Barry (Providence College) (l-r). 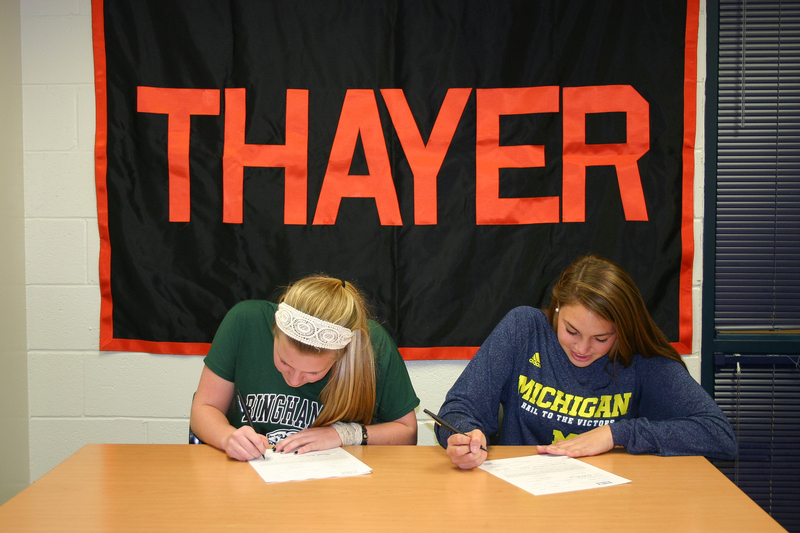 Shannon McGowan (University of Binghamton) and Genevieve Packard (University of Michigan) (l-r) sign their National Letters of Intent.